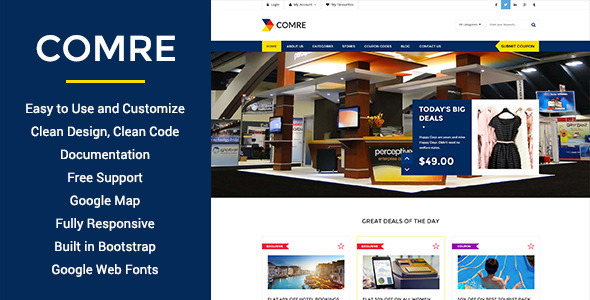 Today’s we have listed out 15+ Elegant Coupon and Deals HTML5 Responsive Design inspired template who want to start on affiliate market with their own coupon website like groupon, coupondunia which is also seo friendly and build on bootstrap. Hope you will like this all design and use one of them for your next project. 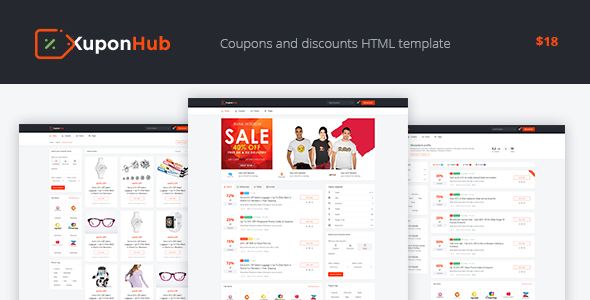 Couponize is a responsive HTML template which allows you to store coupons and promo codes from different brands and companies. 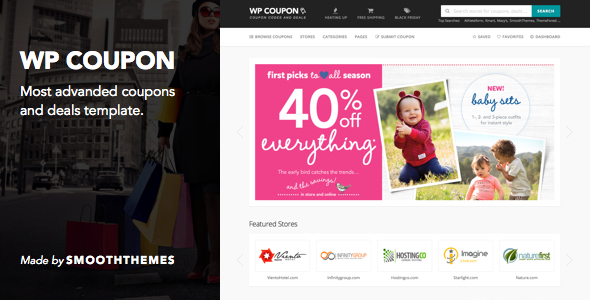 WP Coupon is the most advanded coupon codes & deals website template on the market! 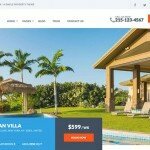 A coupon website, as everyone knows, collects the best deals from around the web and makes them available to their customers. 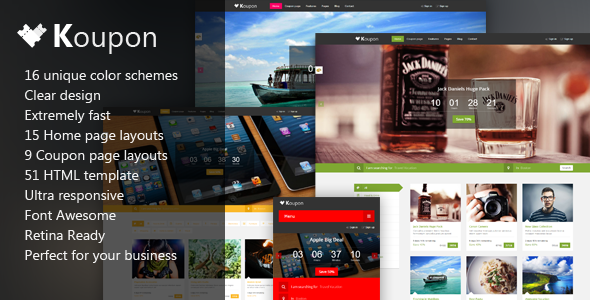 Kupon – is creative template for coupon selling websites. Unique and simple. 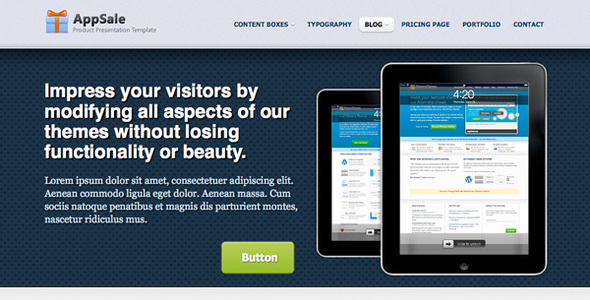 Ultra responsive with user friendly responsive navigation. 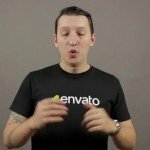 With huge amount of features you can make it as unique as you want. 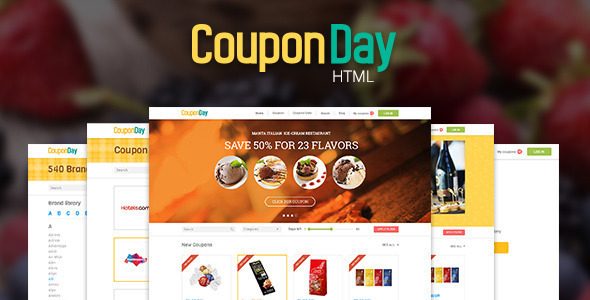 CouponDay is a clean and responsive HTML template for coupon selling websites. 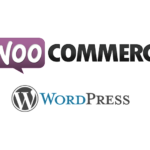 It allows you to store shopping coupons, promo codes, vouchers or discounts and more from different brands and companies. 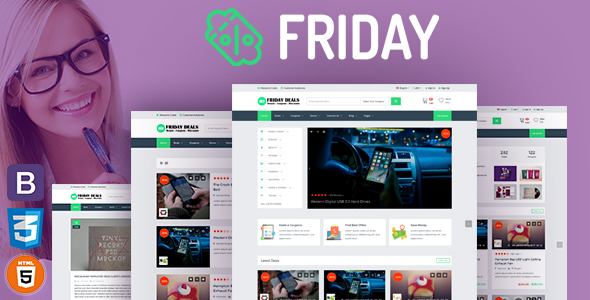 FRIDAY is a responsive multipurpose-ecommerce site template allows you to store coupons and promo codes from different brands and create store for deals, discounts, It can be used as coupon website (such as groupon.com) and also as online store. 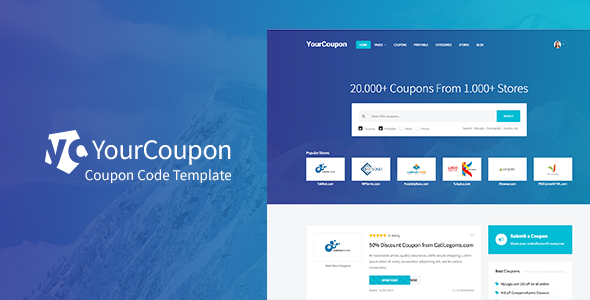 The YourCoupon is a modern coupon code responsive site template coded with Bootstrap framework, HTML5 and CSS technology. 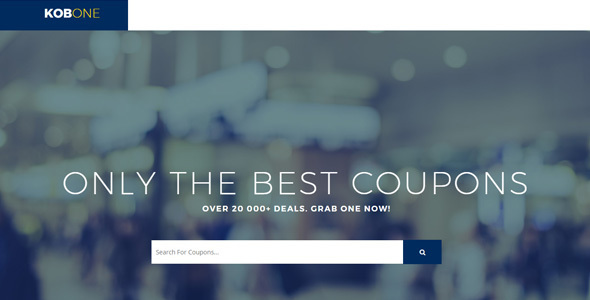 KOBONE is a responsive multipurpose affiliate marketing and e-commerce HTML5 template that allows you to create coupons, voucher codes , affiliate products , deals and tickets websites. 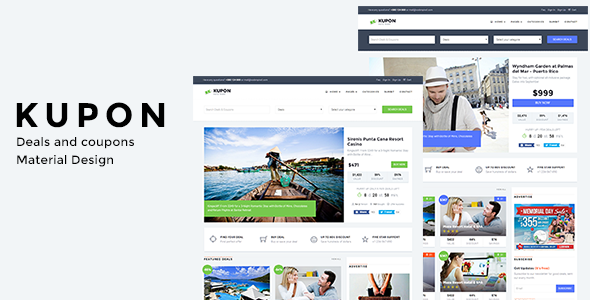 Revision is a new modern and elegant blog/magazine theme with Ecwid e-commerce and moneymaking functions and based on google material design framework with awesome buttons, transitions and scripts. 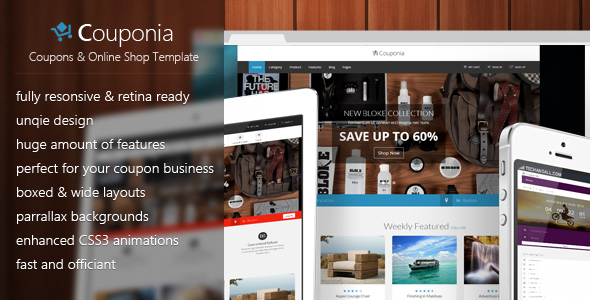 Perfect solution for selling you ipad/iphone app or for presenting your products, work in a professional manner. 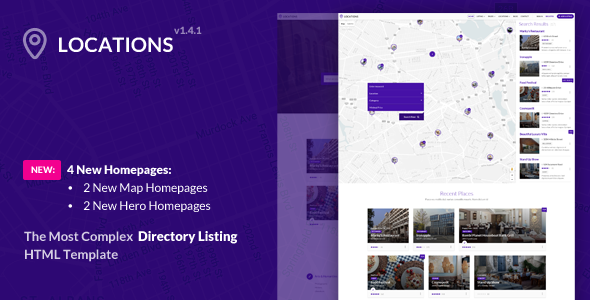 Locations is the most complex directory listing HTML template on ThemeForest. 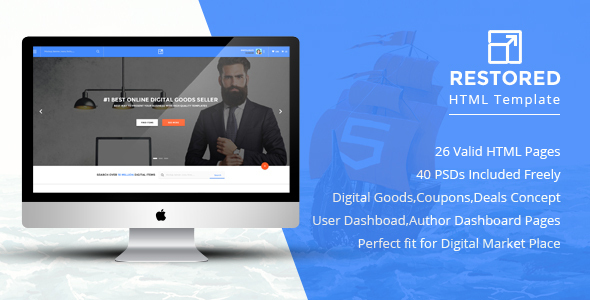 Awesome features such as Ajax modals, live map results, beautiful markers, quick view on listings, 4 map homepages, 4 hero homepages makes this template the most useful you have ever met.